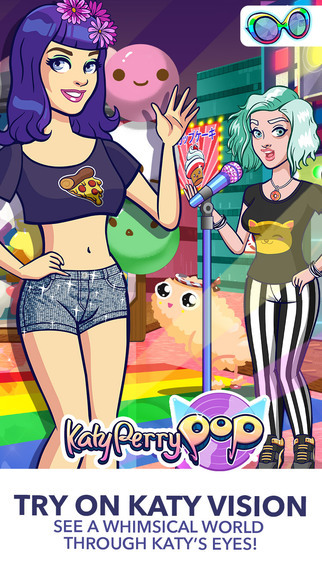 Katy Perry Pop has a Update for March. The update you’ve been waiting for is here! Download the update to discover a brand new location, new friends, new stories and new clothes! • New Location – London is here! o Experience brand new quests! o Collect new clothing inspired by British fashion! o Sign with a new Record Label! 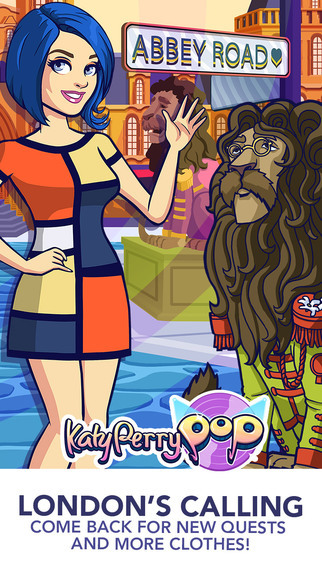 o Join Katy on a European tour! • All projects are now worth 5 Notes! • Updated visuals – locations are looking pretty snazzy! • Your phone got smarter with notifications of what’s new! 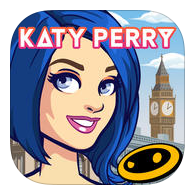 Enjoy the magical world of Katy Perry and download the latest version of Katy Perry Pop today! PLAY WITH FRIENDS by using Game Center and Facebook – help one another grow as artists!